Best dive-season / How to get there: This spot can be reached in 15 to 20 minutes from Romblon Town or Lonos, Romblon 12 months a year. Bangug Island is a small reef system running parallel to the island and ending in a maximum depth of 20 meters. 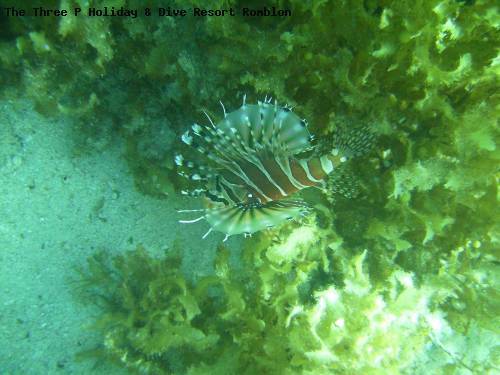 Start your dive in a depth of 2 meters and gradually make your way to the sandy bottom. In the sea grass fields and under the blocks there is lots to discover. Suitable for all level divers.